Welcome to our Wedding Page. We have been your full service mobile DJ & Entertainment company in the Modesto area since 1990. Our qualified staff has an expertise in entertaining all different types of Events. These include Weddings, Company Parties, School Dances, Fitness Expos/Events and Holiday Parties. Additional services we offer are karaoke and video projection. Our karaoke service has hundreds of the most requested songs ready to be played and sung at your party on a TV monitor. Ask for details. Our video projection offers a new realm in entrainment; with this we have two video services available. Our first is our music videos that are projected on the big screen. Your favorite artists are displayed at any one of their live concert performances for you to enjoy. Our video projection can also be used to display your memorable moments on the big screen during your Wedding reception. These include your personal photo slideshows and candid life moments for you to share with your guests at your reception. For our couples, we offer a memorable CD recording of your traditional dances such as your first dance song and any other traditional dance songs according to your Wedding format. A great way to tell DJ's apart is from the equipment they use and how they dress. The Quake Mobile DJ is committed to using the most current state of the art equipment at your Event. We want the music to sound the best, and our equipment allows the music to be heard in its utmost clarity to keep your party moving. Our DJ's always pride themselves in their appearance and will come properly dressed to match the colors of your Wedding theme. We have the total DJ experience at The Quake Mobile DJ. We offer a light show display and have fog and bubble machines to enhance your dance floor; Always included! 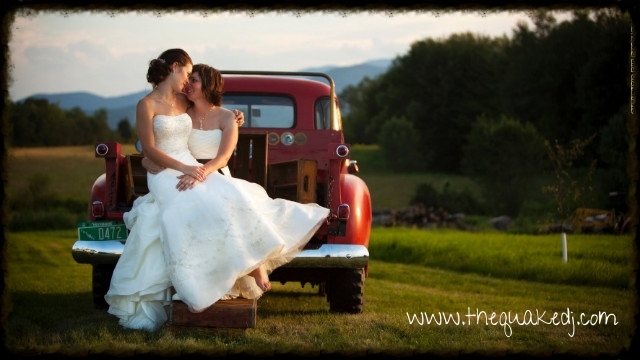 Before we Entertain your Wedding, we will be happy to meet with you three times prior. During your Wedding formatting appointments, you will be able to listen to music in our studio, ask questions and choose the songs for your day. 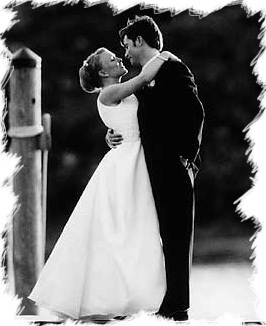 We will help you format your Wedding to your music preference. A request list and music menu is available and we always take requests on your Wedding day. With your input and our suggestions, we can put together the ultimate DJ experience for your Special Day. All for love Wedding photos below. 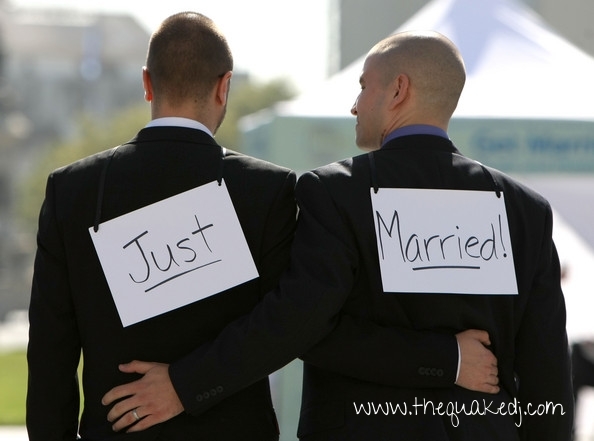 The Quake Mobile DJ open's their hearts as well as their business to all couples in love.